Everyone likes something for free, particularly when they’ve already splashed out a significant amount of money. So it is with tablets, be they iPads, Android devices, Kindles or other models. The hardware itself isn’t that cheap, but you’ve invested in it so your child gets to grips with new technology, and is entertained and educated with the same systems they are, or will be, using at school. Cash is now a little in short supply, but you’d like to furnish the shiny new tablet with a good selection of wholesome games and educational titles. You’ve locked down the device as much as possible, disallowing direct access to the web (or perhaps only giving access to a few carefully selected web sites) and ensuring they can’t download new apps or purchase in-app add-ons from the app store. 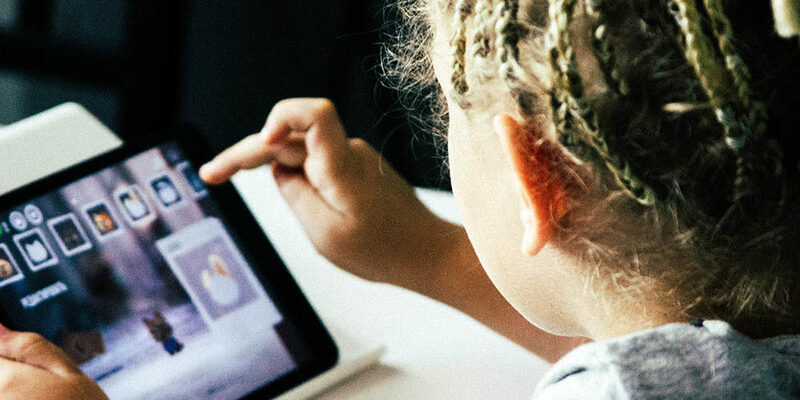 You do a bit of research into the best free apps available for your device, download and install them, and let your child loose on their new toy. What you may have overlooked is advertising. No longer confined to the TV, radio, print media and web sites, it’s now an integral part of many apps. The reason is clear and completely understandable: software developers generally want some kind of return for the time and money invested in creating and maintaining their apps. Most are not doing this for solely altruistic reasons, so finding a money-making method is of keen interest. Some developers set a price for their apps, which a consumer pays to the app store before downloading the app. This works well enough, but is a one-off payment and, given that so many people are looking for free software, it potentially limits a developer’s income. Others may offer their app, free or not, and include in-game add-ons—such as special skills, hints, bonuses, faster progress through the game—which can be purchased directly through the app. Most parents block the ability to automatically make this kind of purchase. Many offer their apps completely free, but choose to sign up with an advertising network who will show ads at various points throughout the game. Here we have the potential danger. While adverts on TV, radio and even the web are fairly limited in how often they appear (for the average viewer/listener/surfer at least), such restrictions seem rarely to apply in apps. In addition—at least in the UK—there are quite stringent controls on what can be advertised in media aimed specifically at children, such as commercial kids TV channels. Again, this is often not the case with apps, particularly if it’s not directly aimed at children. There are many games which are perfectly fine for children to play. Recreational puzzle games can prove to be an excellent source of education and learning. The trouble is, if they’re not intended solely for children to play, the advertising may be inappropriate. As an example, we recently noticed our eldest daughter becoming quite upset about guns and war. As far as we were aware, she hadn’t seen anything on the news (we’re very careful about what news she sees), hadn’t watched any age-inappropriate videos or TV, wasn’t learning about any kind of conflict in school lessons, and didn’t seem to have been gossiping with her friends about any such subject. Yet the feelings were still there. It wasn’t until we took a look at the game she was playing—one of those block-matching puzzles which seem perpetually popular—that we realised there was a video advert for some kind of war role-playing game being shown between every single level she competed. In the space of half-an-hour she may have seen that same set of images a dozen times or more! Other ads could well have been for gambling and inappropriate age-rated games. When she played the game in question without an Internet connection the ads didn’t show. Unfortunately, switching off the Internet isn’t always an option as some games won’t work properly, if at all, without it. I don’t blame the developers. It would be hypocritical of me to call for an outright ban on this kind of advertising, given that some of my income comes from advertising revenue. The difference is in the content and frequency of those ads being shown. Some apps designed exclusively for children, such as educational apps, also include ads. Though more appropriate for a child to view, the number of times they can appear seems unlimited. Another issue is the difficulty of ‘dismissing’ the ads when shown. The “X” or other close buttons are extremely small and can lead to unintentional tapping on the ad itself. I do think this needs to be changed, as it feels a little disingenuous to make it so hard to exit an ad. I don’t have a definitive answer to this problem, but I wanted to make other parents aware of this issue, which may well be slightly more covert than other threats. 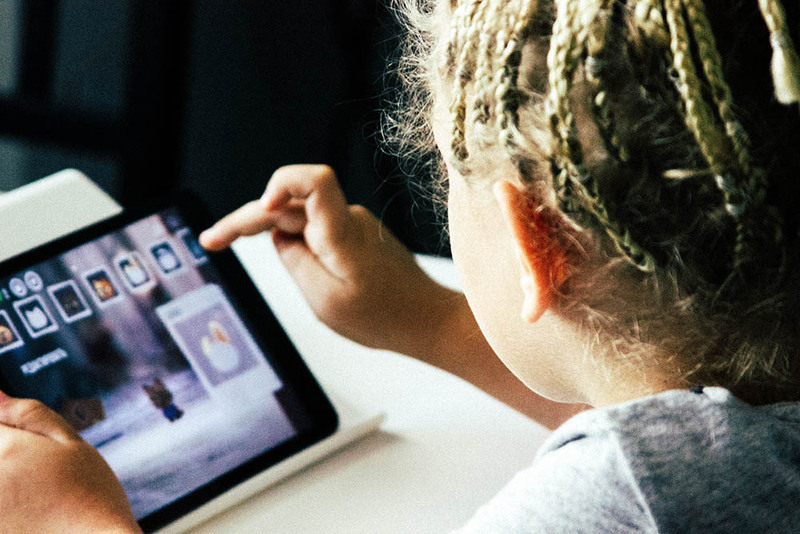 Keeping eye on what media is being served up alongside an otherwise innocuous app is very important, particularly for younger or sensitive children. Generally, paying for an app limits or eradicates advertising (not always). Some free apps offer a ‘remove ads’ option in return for a modest recurring fee. This may be a good option if you find an app you really like, and you should be able to cancel the payment at any time if you no longer use the app, or indeed for any reason. Apps from public-service organisations (the BBC for example) are unlikely to contain commercial advertising, although they may still market other apps from the same developer. Switching off the Internet connection on the device often stops ads from appearing, but may also remove certain functionality or stop the app working altogether. Developers deserve monetary reward for their efforts, but more needs to be done to limit the scope, frequency and invasiveness of the ads used. Much of this comes down to the advertising networks themselves. What do you think? Is this something you were already aware of? Has it affected the choice of apps you’ll allow your child to use?